The Mad Max film series envisions humankind’s mad attempts at survival in a post-nuclear apocalypse world. In that society, people have reverted to bare basic survival instincts. They’ve split into tribes, but possess the technology and firepower capable of warding off attackers as well as conquering resources from the less fortunate. 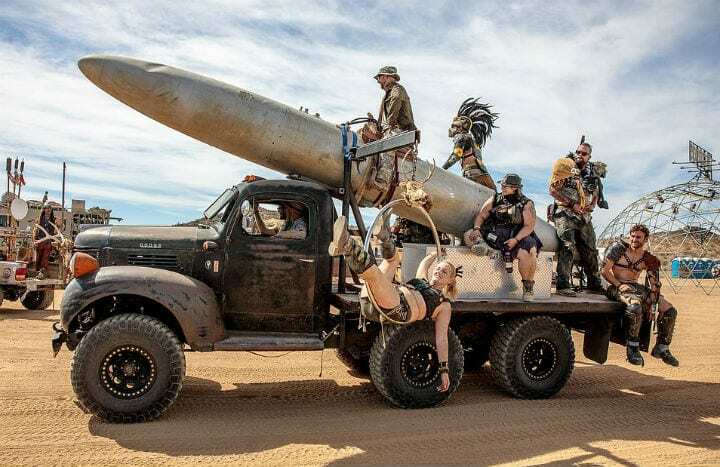 Imitating the social structure of Mad Max, the participants at Wasteland Weekend divide themselves into tribes as well. This is similar to the camps at other, less apocalyptic-themed festivals. While this menacing warhead model can’t do any real damage, this is the space where you can freely flaunt some seriously frightening fake weapons.